I spent the summer of 2014 hiking in a pair of trail runners. 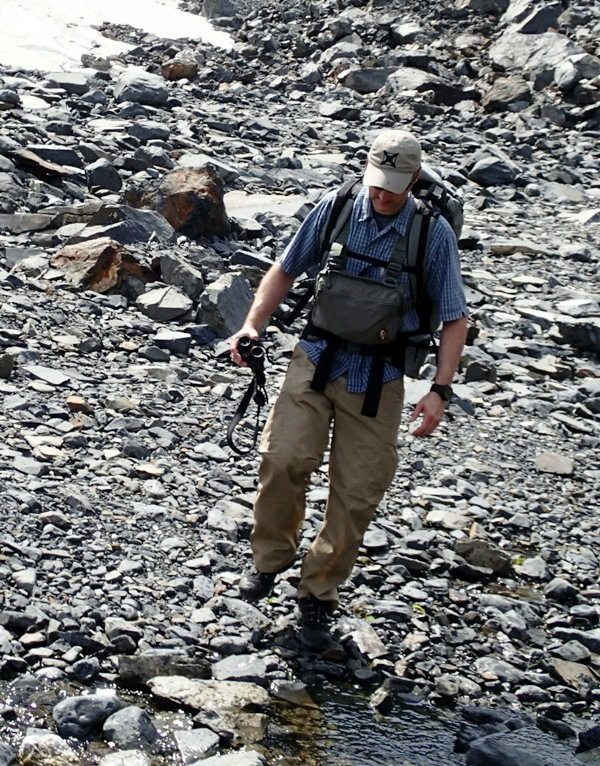 I found little need for hiking boots as these light weight, nimble shoes were perfect, even when hauling loads of 40-50lbs. My trail runners of choice were the Salomon XA Pro 3D Ultra 2 GTX Hiking Shoes. I’ve been a fan of Salomon trail runners for several years, but it was conversations with Luke and Becca Moffat of Rokslide’s prostaff that made me ditch my boots for a season. The Moffats run Salomons as well, but prefer the Speedcross model. The differences in the two are that the Speedcross has a slightly more aggressive tread and is not a waterproof shoe. After a summer of use, the Salamon XA Pros were proven performers. So much so that I threw them in my pack as camp shoes for my 2014 sheep hunt. Fortunately I did, as my light weight La Sportiva Trango S Evo GTX boots tore my feet to ribbons. By day three, the La Sportiva’s were nothing more than dead weight. It was frustrating as they had performed well in preseason training. As a result, I was forced to complete the rest of my trip in my Salomon XA Pros. The Salomon’s worked pretty well in sheep country. They provided great traction and even kept my feet dry in the rain. 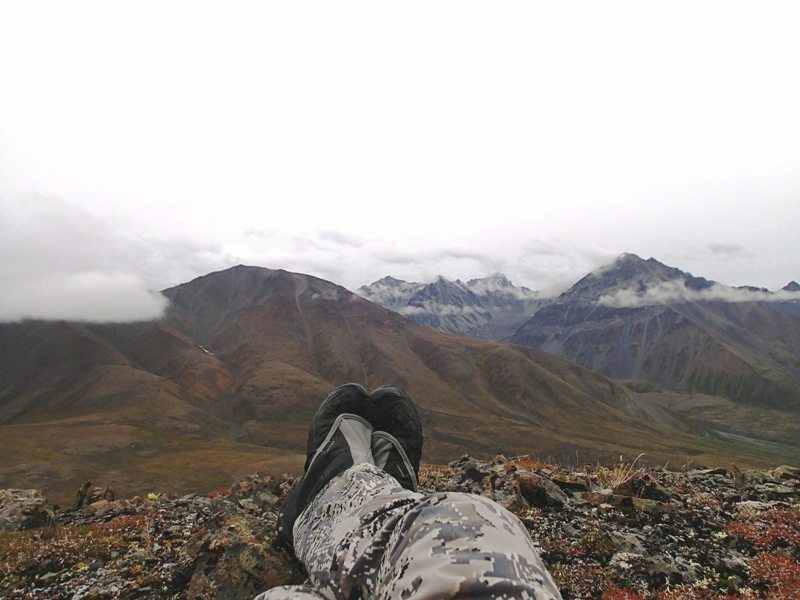 Their weak point was in rock fields where the loose rocks beat my feet up. 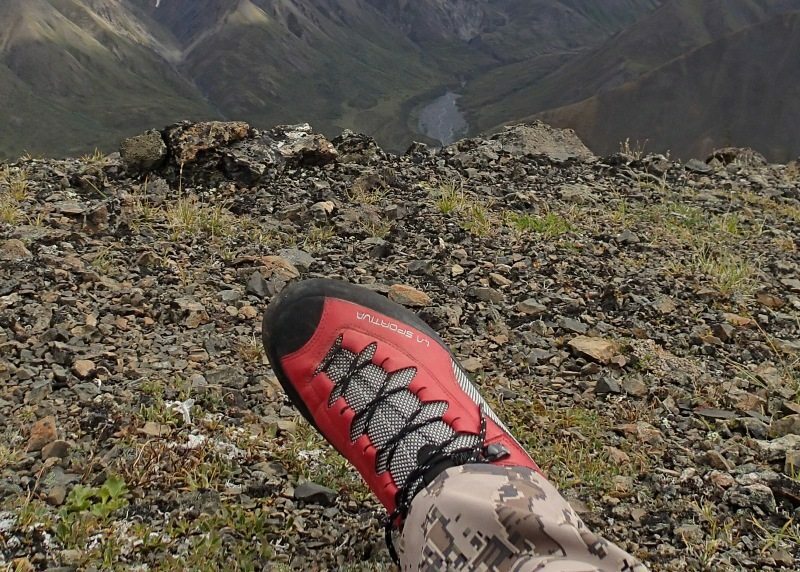 A burly boot with a stiff sole and rubberized rand provides protection and is better suited for sheep country, but in a pinch, the Salomans proved worthy. There are many trail runners on the market and they provide a valuable asset for summer and early season adventures, especially when you are keeping the pack light. They allow a hunter to move quickly and lightly and are surprisingly more versatile than they appear. Trail runners, like boots, must fit well in order to be effective. Getting a good fit, a quality footbed, and wearing the right socks are all part of the steps one must take to develop a robust system. 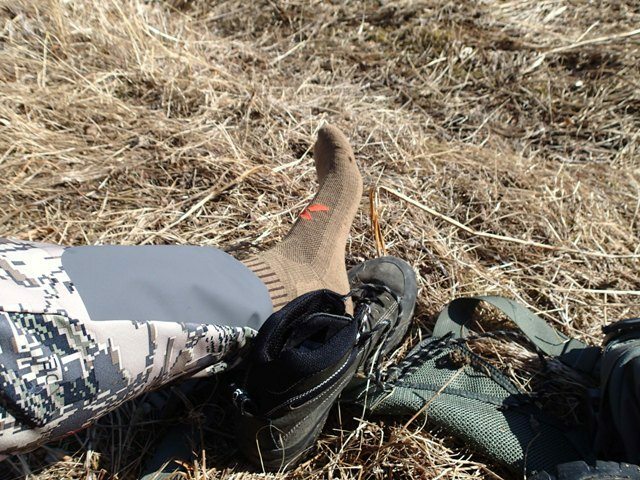 My system is completed by utilizing merino wool socks from First Lite. First Lite offer three socks; Mountain Athlete Compression, the Mountain Athlete Cold Weather, and the Mountain Athlete Crew. I utilize the Compression and Cold Weather socks in my boots. For the trail runners I primarily use the Crew sock and occasionally the Compression sock. I have been using these socks since the fall of 2013 and they have met my expectations. They wick moisture well, don’t stink, and very importanly, stay up on your calves rather than bunching together in the boot. 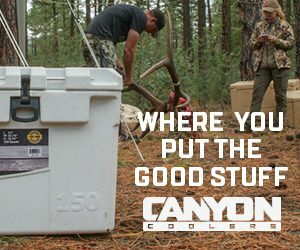 They are a hidden gem in First Lite’s solid product line. A tip is to buy the Mountain Athlete Cold Weather socks in one color, and the Mountain Athlete Compression in another color. The subtle difference between the two might get missed as you are packing your kit. I run my compression socks in Dry Earth and my Cold Weather socks in black. The compression socks are my chosen sock for anything 30 degrees and up. I utilize the cold weather sock when the temperature is lower or the activity is less. 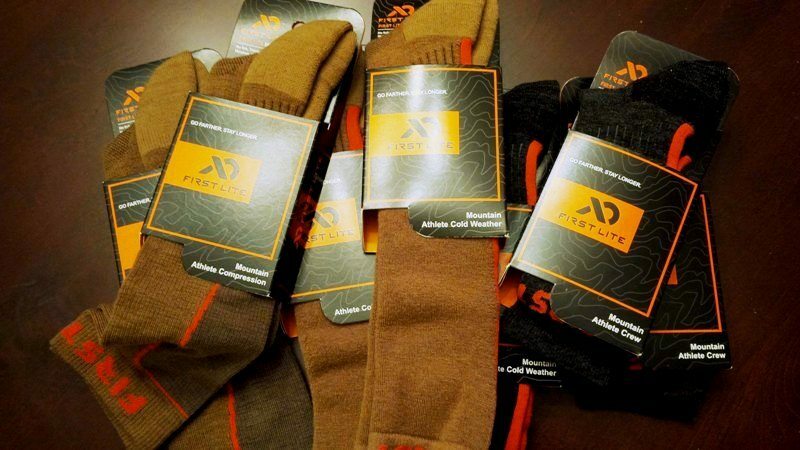 You can get more information on First Lite’s socks by clicking here First Lite Compression.